About — Christian News and Information Institute, Inc. 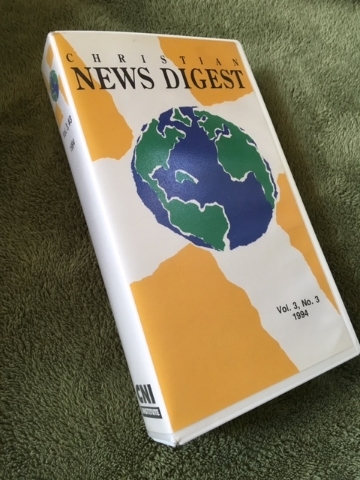 In May, 1991 CNI was registered in the Commonwealth of Virginia as the Christian News and Information Institute, Inc., a non-profit corporation, under the leadership of Stan Jeter and fellow Directors Forrest Boyd, Andrew Quicke, and Seph Barnard. CNI is recognized as a 501-C-3 non-profit organization by the IRS. Donations are tax-deductible in the United States (see DONATE tab, above). Current board members include Stan Jeter, Michael Little, Patrick Roddy, Jim Southerland, Dr. Victor Oladokun, Dr. Michael Patrick, and Alex Valderrama. CNI developed several projects through the Chesapeake, VA-based production house, Features International, Ltd. (of which Stan Jeter and Seph Barnard were co-founders). The Christian News Digest—a bimonthly video with reports of God's work around the world. It was marketed to churches and Christian schools until the launch of the Christian World News broadcast (see below) in 1994. The Features Digest—a monthly collection of Christian news stories marketed to Christian TV talk or magazine shows and news programs. Project ended in 1994-95. The Christian World Report, a pilot half-hour video/TV newscast. After the Christian Broadcasting Network acquired the CWN program and hired Stan to manage and produce it, the CNI Institute entered a period of reduced activity, maintaining its legal status and facilitating occasional media training projects. While working for CBN News, Stan was able to fulfill a long-time vision by founding a Spanish-language news program, Mundo Cristiano. MC now airs throughout the Spanish-speaking world. Another project Stan helped initiate with the NRB TV committee, is the Global News Alliance. The GNA was soft-launched at NRB 2017 as an online global news exchange. In 2013 CNI helped launch ComunicadoresUSA, a media training, networking and equipping ministry for Hispanic communicators. CNI is playing a growing role in developing Christian news and media projects around the world, including the current emphasis on training Christian communicators in Cuba. TRAINING: Teaching, mentoring, assisting and encouraging Christians who are, or plan to be engaged in communication endeavors. NETWORKING: Developing and connecting Christian communicators. FUNDING: Finding sources of financial and material support to underwrite training and media projects. PROMOTING: Using all practical means to promote vision and excellence in Christian communication.